With the recent announcement that Flyinghotpocket would be leaving EVE, coupled with a severe lack of Amarrian pilots in Huola, a perennial question resonates throughout the intel channels of the 24th Imperial Crusade: Is Burn Huola over? Beyond the pressing matter of reluctant or hesitant commanders to evacuate their POSes out of Huola, another question sits firmly as the one that will judge the actions of every pilot involved in the conflagration: How did Huola remain firmly in Minmatar control? Stalking Mantis of Team Amarrica’s Amarrian Vengeance, along with Flyinghotpocket and Templar Dane, were instrumental in coordinating and leading Amarrian forces during the Burn Huola campaign. Factionwarfare.com reached out to Stalking Mantis to gain his perspective on how the Amarrians could have fared better. However, the defense of Huola is not a monolithic, faceless, emotionless struggle that led to absolute victory. Like their Amarrian counterparts, the Minmatar and their allies reigned on the battlefield on some days but suffered crushing defeats on others. Both PunchBug2142 and Queen Daenerys Targaryen agree that the darkest day of the siege was immediately after a major defeat at a large plex where defense coalition forces suffered heavy casualties at the hands of a Caldari Ishtar/Scimitar fleet and a J4LP Harpy fleet–it was the night that Huola reached its highest contested percentage of 65%. They differ, however, on the high points of morale: Queen Daenerys Targaryen feels it was after a cruiser brawl in a medium plex, while PunchBug2142 recounts an adjustment of strategy against Amarrian Coercer and Harpy fleets (he noted that this only indicates a glimpse of the fighting, as the Minmatar obviously lost ships as well), allowing defense coalition forces to reverse the 65% gain made by the Amarr-Caldari push. The Minmatar, however, are not the only participants in the defense of Huola–this was a fact stressed by both Queen Daenerys Targaryen and PunchBug2142. They both praised the assistance and skill of the Gallente pilots, as well as the unexpected help from pirate corporations like Scope Works. But aside from the militia entities that rose to defend Huola, it is often forgotten that Huola is home to neutral powers as well–entities that played a crucial role in stemming the Amarrian tide. One of the easily recognizable pirate entities in Huola is none other than Scope Works. Responding to a request from FactionWarfare.com, a number of Scope Works advisors and diplomats collaborated to share their thoughts and views on the Burn Huola campaign. The important issues for Scope Works revolved around Huola being their home coupled with numerous Amarrian insults. Allegedly produced by Stalking Mantis of Amarrian Vengeance, this little piece of propaganda along with attempts at extortion to remain neutral did much to ignite anti-Amarr sensibilities in Scope Works. Regardless of the skill of our FC’s it is the Amarr line pilots who drive their FC’s to rage quit…keep laughing. I am insulted, why am I not included in the slagging off? Was my FCing not worthy? 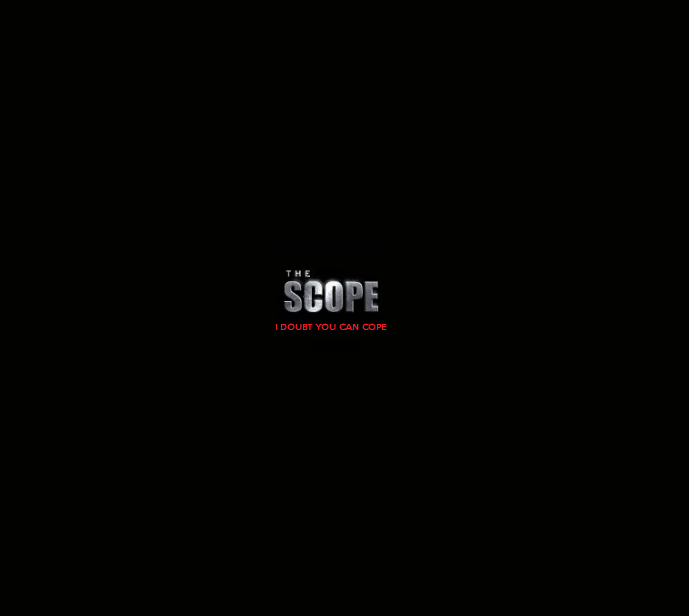 I don’t remember anyone from Ammarian Vengeance threatening anyone from the scope. Actually we have blued each other in the past during campaigns. The exact details of why Anslo’s buddies decided to side with the minmatar is a mystery to me. Yet for some reason AVNG keeps getting the blame for it. Either way after a few brawls where Anslo’s corp sometimes outnumbered even the defending minmatar we really didn’t differentiate between the two partys. It was obvious the Scope chose sides, and as such they got their share of Psychological warfare. Trust me when I say we never factored in the Scope when we prepared for the initial offensive. But so is fate sometimes it just throws you the strangest curveballs. While I will stop short of saying the Scope stopped the assault, I will say their US timezone really helped the fights going during the off times of the EU. It’s really needed to mention great work of Smile’n’Wave during huola defense. Having their fleet started 2-3 hours before EU prime really helped with holding huola in minmatar hands. At the end of first week of huola they were capable killing amarr fleets without any assistance.